Luke 23-24~ Day 34~ It's never too late...unless you die. The criminal who rebuked the other caught my attention today. The more I think about him the more I admire him! Yes, I know that at first he participated in taunting Jesus (Matt 27:44). But at some point in the day, he stopped. I would think every single thought would be about his misery! So, how surprising to read the change of heart that he displayed! Who says that when they are getting punished? !…“I deserve this!”, said nobody ever!! Anyway, I was even more impressed at what he said next, “Jesus, remember me when you come into your kingdom.” (23:42) He understood something the disciples didn’t even understand. The disciples thought Jesus was going to establish an earthly kingdom (24:21). The criminal, at some point while hanging on the cross, must have been mulling over the answer Jesus gave and came to the conclusion that his words were true. When we come to that realization ourselves, like the criminal on the cross, it provokes a heart change. I pray all my loved ones come to that conclusion before they die, just as the criminal did. Why do we get so stressed out when someone says, “Do you want to go evangelize?” Eekk!..No way! That’s not my “gift”. I’ll leave that to someone else….. I take the time to remind them that they have put the hours of study time into the subject, they are prepared! Yet, getting stressed out has a way of blocking logical thinking. I can relate with that! Illogical trains of thought pour into my mind when I am “stressed”! If you have been a Christian for a day or years, you are prepared! You know what Jesus has done for you. You know what you would be without him. You know how your life has changed since you received him as your Savior. There should be no stress in sharing that with others. One just needs to “make up one’s mind not to worry”, before you go out and tell others your story. It is every Christian’s “gift” to share their story with others! I am writing this out, because I need to hear these words! I need to make my decision now, not to worry. Can anyone else relate? I thought the parable Jesus tells of what the servants did with the money the king gave them, was about three servants. Today, my observations skills we're doing better than usual, I guess! Haha! My Bible even titled the parable, “The Parable of the Kings Ten Servants”! The first made 10 “mina” more than the one he started with. The second made 5 more. The third “laid it away”. What about the other seven?????? Here is a thought…are we the other 7? Think about it….we live in between the resurrection of Jesus and his 2nd coming…just as the servants lived between the time the man left and came back king. Were the other 7 not mentioned because we are in the process of investing our money? Obviously, mina can be symbolic of any gift Jesus gives to a believer. It doesn’t have to be money. Any gift can be used as an investing tool to bring others to know the Lord. The question this parable points to is, am I using what God has given me to invest in the kingdom? Do I use my house to invest in the kingdom? Do I use my car? Do I use my time? Do I use my singing ability….wait, no worries there…I don’t have that gift..
Do I use my medical knowledge to invest in the kingdom? It clearly seems like we will be asked the question though, after all, we haven’t heard yet what the other seven did!! Luke 17-18~ Day 31~ Conflict resolution summed up in a sentence! That sentence must make “conflict avoiders” feel so uncomfortable! Maybe so much so, they move on to verse 4 without giving verse 3 much thought! Yet, that one verse is “conflict resolution” summed up in a sentence! When my kids were little I made them say an extended apology that has now, in their older years been dubbed ,“I-for-Do”. Me: You need to apologize to your sibling. What do you say? Them: Do you forgive me? Then the injured party had to respond with a “Yes, I forgive you.” If they couldn’t do that, we would wait. After awhile, if the injured party couldn’t give forgiveness, I would threaten to discipline that child! It was absolutely necessary for the injured little one to be able to forgive the other. Needless to say, this process took a bit of time. Eventually, as they got older, I didn’t need to do the prompt. I would hear from another room, “Ouch! You hurt me! !”, “I’m sorry for hurting you, do you forgive me?” I would hear the other respond with a “Yes, I forgive you.” and they moved on in their play. Oh, if only our lives could be so easy!! Yet, this verse today was like hearing our Heavenly Father prompt his children with an “I, For, Do”. Nope, he is speaking to both parties, prompting them both to resolve the conflict. Both sides have their role. That one sentence is something good to practice. Eventually, it becomes habit! Luke 15-16~ Day 30~ Friends in eternity!! Once again, 16:8-9 stood out to me in the reading…it’s just interesting to me that Jesus would talk this way!! I had responded to a comment on this section once before on the blog, so I thought I would post the response again, since clearly, I needed to hear it again! “Various explanations have been suggested for the seemingly undeserved commendation. 1) In giving discounts, the manager had excluded any commission for himself. 2) The debts were hard to collect and, by reducing the amounts, the manager provided a sudden influx of cash for his master. 3) The master commended the manager for his shrewdness in looking out for himself (but this does not mean that the master praises him for his evil). See verse 9 for the major point of this parable. If we use our money to help others find Christ, our earthly investment will bring eternal benefits. I thought it was an interesting question asked in our reading today, “Someone asked him, “Lord, are only a few people going to be saved?” (Luke 13:23) Why would a Jewish person in the time of Jesus ask that question? I would assume the Jewish person asking felt like he was one of the “in” crowd solely because he was Jewish. After all, I am sure they felt like a special race chosen by God, to be “set apart” form everybody else in the world. It seems to me that this guy was wanting clarification of Old Testament scripture. Just as those other teachers were confused on the idea of the dead raising (Mark 12:27). Jesus clarified with a simple, “Yes, there is resurrection of the dead!” And, here again, Jesus gives a simple answer, “Yes, few will be saved.” Yet, he expands on the answer to clarify who the few will be. If this guy was thinking that the few were Jewish, he was wrong. Old Testament scripture is proven correct. The few will be all who have faith in Jesus! (Rom 4:16). “There will be weeping there, and gnashing of teeth, when you see Abraham, Isaac and Jacob and all the prophets in the kingdom of God, but you yourselves thrown out.” (13:29) The people Jesus listed, the forefathers and prophets, were all commended for their faith (Hebrews 11:39). But, you may ask, how could those people have faith in Jesus when Jesus had not come yet? I love how Jesus clarified that point as well!! We will read it when we get to John, but here is a sneak peak! 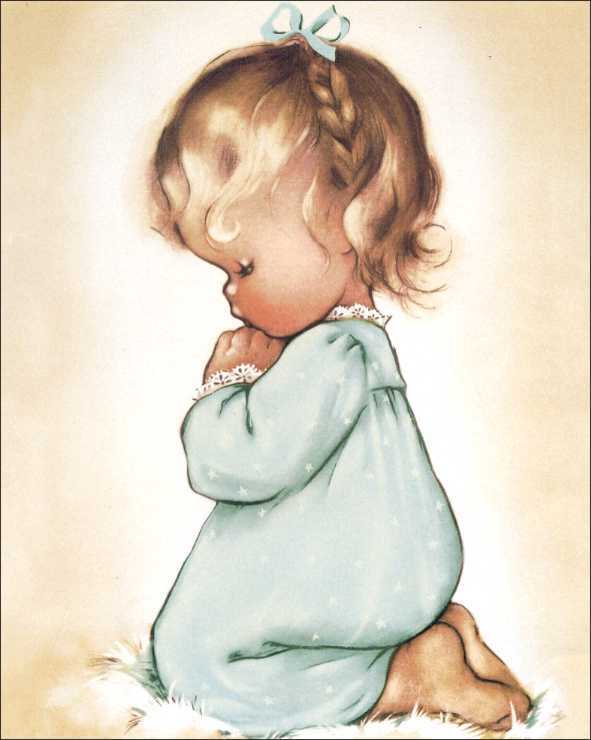 Luke 11-12~ Day 28~ "When you pray, say...."
When I had my babies, my husband and I decided we were going to dedicate them to the Lord at our nondenominational church. However, my parents, being Lutheran, wanted them baptized as infants. In order to avoid anguish of heart, we returned to the church I grew up in and baptized each one. There are times that I just can’t come up with the words I want or need to say to my Lord. It’s at those times, I think of his prayer. This prayer has a way of putting my mind in order! 1.) Put God on his throne! 2.) Realize I am dependent on him for everything, everyday!! 3.) Remember that I am forgiven, so extend forgiveness to others! 4.) Remember there is a spiritual battle and I need Jesus to help me fight that battle. 5.) And in Matthew’s version (6:9-13), remember Jesus is coming back!! 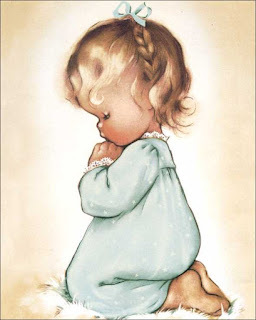 It was always so precious hearing my little kids, with their sweet little voices recite the Lord’s prayer. I can imagine our Heavenly Father, hearing us pray a similar outline, thinks we sound sweet too! What did you get out of the reading today?